↑ Wells, John C. (1990). 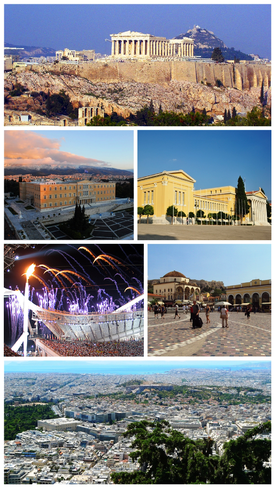 "Athens". Longman pronunciation dictionary. Harlow, England: Longman. प॰ 48. आइएसबिएन 0-582-05383-8. ↑ "Ancient Tablet Found: Oldest Readable Writing in Europe". 1 April 2011. http://news.nationalgeographic.com/news/2011/03/110330-oldest-writing-europe-tablet-greece-science-mycenae-greek/.